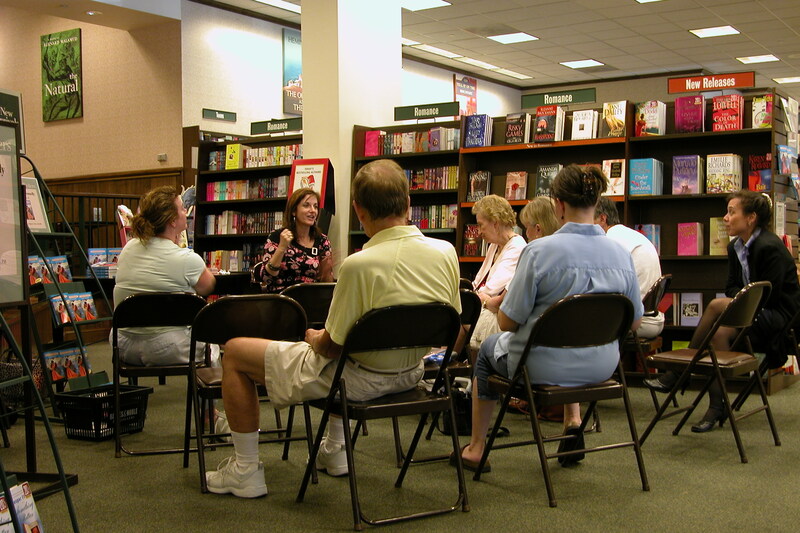 Writing Workshops – How to ? A friend recently asked about how to do online writing workshops. So it seemed a good idea to put down what I’ve learned from teaching writing for about ten years now online. I’ve taught both workshop classes and online workshops, and there are some big differences. In person workshops give everyone a lot more interaction—you get to see the faces of the people in the workshop, so you can see if there are blank stares, or if folks are getting it. And those taking the workshop can direct some of the information with immediate questions. This is not to say you can’t ask questions in an online workshop, but so often the question you send in an email or post to the workshop group might not actually be the question you need answered. Communication is an art. But that’s one of the advantages of online—you have to write down your questions, and your assignments. I’m a big believer in assignments, or exercises. I like the interaction it spawns—when you’re teaching, you get to see if folks are really getting the information, or not. And there’s nothing like practical application to stretch your writing skills. I also think it’s great to try new things—I like to do that with my own writing skills, just to keep them sharp, and to make sure I keep learning. Which is a big part of teaching workshops—everyone learns, the instructor included, in a great workshop. There’s an exchange of ideas, approaches, and information. To me, a bad workshop—either online or in person—is one where that exchange, for whatever reason, doesn’t happen. If students don’t put in, or give back, to the workshop, the whole thing becomes a dull experience—for everyone. This means the best online workshops have a mix of participants—a few who ask tons of questions, do every exercise several times, and basically throw themselves into it, a few who do some of the assignements, but basically absorb the information, and then a few who lurk, pulling in the bits of information they need. In person, you often have this same mix, but online, it’s somehow stands out more. As to structure, the beauty of online is the flexibility. With an in-person workshop, there’s always the limitation of distance and time—the workshop has to be close enough to get to, and it can only last for as long as the room is available. While online workshops always have some time element to them—as in they might last a week, or two, or even a month—that’s more than enough time to cover the subject matter and allow for lots of participation. Time is extended, and since the room is a virtual one, there’s no worrying about ‘driving’ to get to the workshop—or about being late. That’s a luxury for me, too, since I can logon at any time to see questions, post a lecture, or add notes. I’m also now developing books to go with the workshops—one of the things I’ve found is that folks want to keep and refer back to the material, and with ebooks becoming so popular, it’s going to be easy enough to have ebooks with the material available for those who would like them. I know I’ve several writing books on my shelves and I refer back to them when I need a refresher course back—that’s what the books will do, and they’ll be a logical extension of the course. The one thing I’m always trying to get write, too, is the amount of information taught. It’s great to have a workshop with lots of great info, but I’ve taken ones where the information is just too much—I can’t absorb it. Too little information and I start to wonder what I’m doing in that workshop. But the balance is a tricky issue in that what’s too much for one person might be just right for the next. And there’s always the experience issue. When I taught horseback riding, you’d find great teachers who had gone past the ability to teach beginners. They no longer had the patience for beginners—and they also had been doing this for so long that what seemed obvious to them wasn’t obvious. The level of experience a writer has can be a big impact in any class—online or in person. A workshop has to be able to bring the least experienced writer forward with the class—but it cannot drag so much that the most experienced writer is bored. That’s a difficult task. A range of information can help with this—as can good explanations that more experienced writers can skip past but which will help the less experienced writer keep up. But I’m always looking for ways to improve the workshops I give—I’ve several set up for the rest of this year, and some already booked for next year, too. So what do you like most in the workshops you’ve taken online? And what could you live without?